Welcome to your opportunity to live in Thunderbird East! Located in 85254. 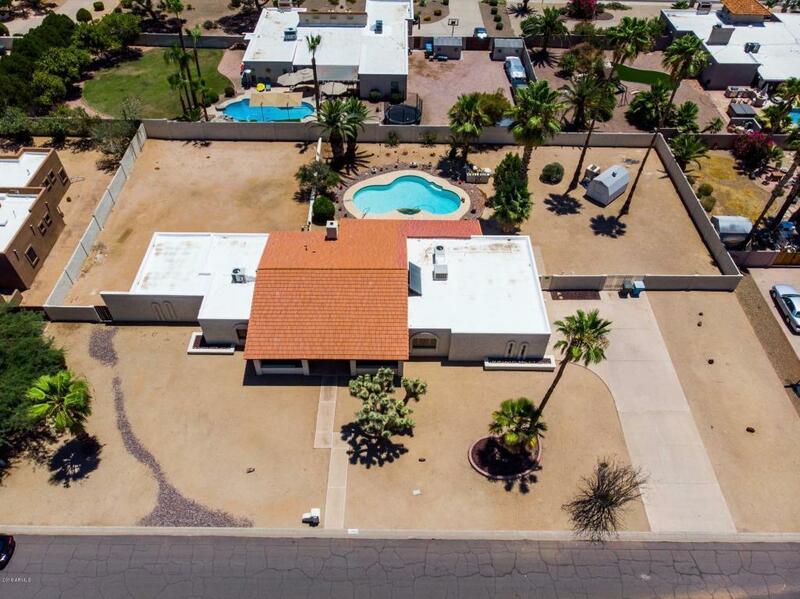 Large 25,531 SF lot (0.586 acre) with 2-car garage, 8-slab spaces and RV gate. 2,865 livable SF, 4 bedrooms 3 baths with formal living and family rooms that feature vaulted ceilings with wood beams. Master addition provides walk-in closet, dressing area, sitting room, exercise or office space. Excellent proximity to Sandpiper Park (9-min. walk), and Scottsdale Quarters and Kierland Commons (5-min. drive). Original owners maintained property very well with updated systems and roof. Pool has new cartridge filter. Solar hot water system conveys. See Floor and Site Plans plus aerial photos. Come fall in love with this spacious property in a walking and bike-friendly neighborhood.